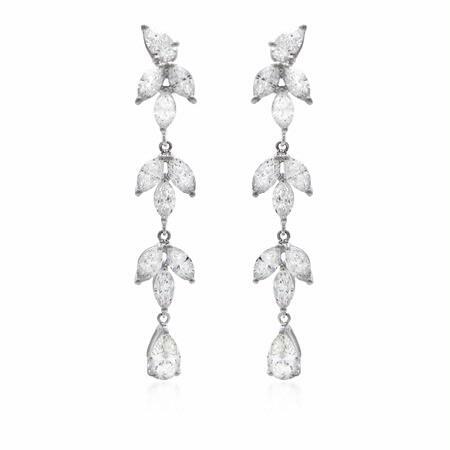 This brand new sparkling pair of 18k white gold dangle earrings, designed in Italy, feature pear cut & marquise cut white diamonds of F color, VS2 clarity and excellent cut and brilliance weighing 6.58 carats total. 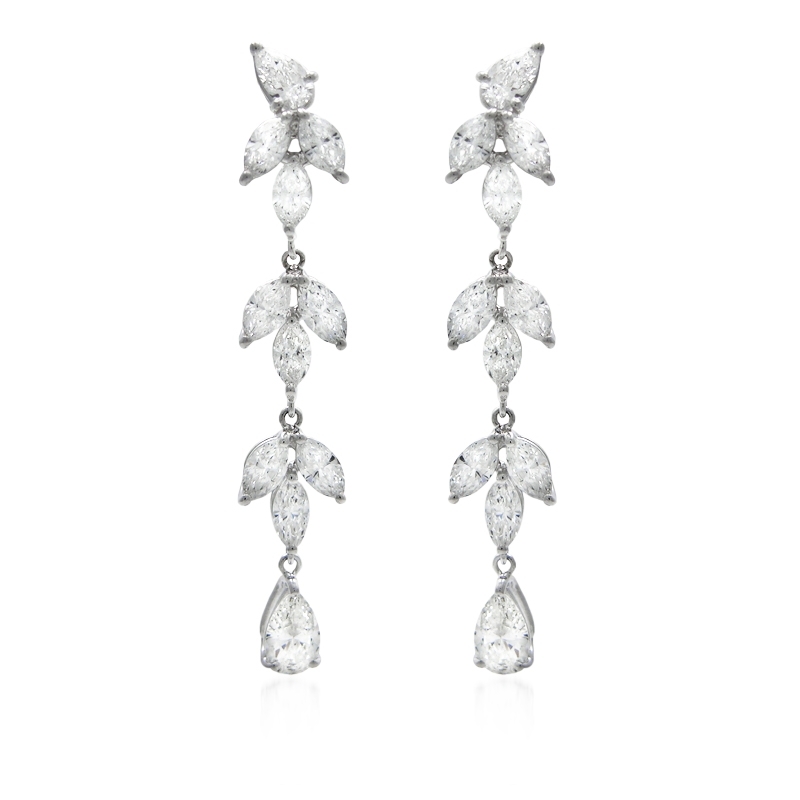 These beautiful earrings are nothing short of spectacular! These earrings feature posts & omega clips. The earrings measure approximately 2.25 inches in length. For more information about this piece or to schedule a personal viewing at our showroom, please submit your inquiry or contact one of our jewelry specialists.